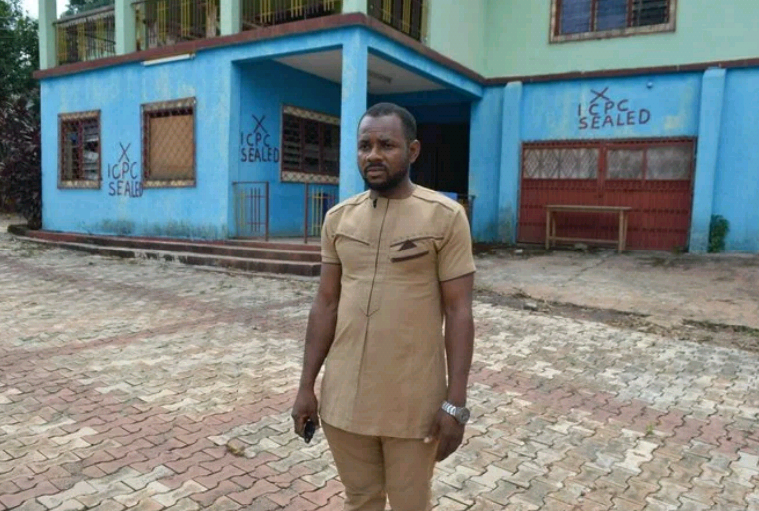 A fake medical and nursing college called the International College of Professions, located in Nsukka, Enugu State, has been shut down by the Independent Corrupt Practices and Other Related Offences Commission (ICPC). The school, located in a decrepit and run-down one-story building in Eha Alumona, an outskirt of Nsukka, has faculty of applied and natural sciences, with degree programmes in basic and advanced auxiliary nursing, medicine and surgery, as well as Public Relations and Mass Communication. The Rector of the fake college, Rev. Dr. Nnamdi Obiukwu, claimed before operatives of the Commission that the school is affiliated to California University FCE, with accreditation from the National Universities Commission (NUC) and the Ministry of Education, Enugu State. But checks by officers of ICPC indicate that such accreditation does not exist, as the fake college was only given approval by the Enugu State Ministry of Education to run vocational programmes. On staff strength, Obiukwu admitted that the school had just four staff on its payroll. One staff is the Registrar and doubles as a lecturer, while there are two full-time lecturers and a part-time one. None of the lecturers has the requisite qualifications. The college has over 20 students from first year to final year, paying over N45, 000 per semester. While final year students have been made to pay as much as N250, 000 as graduation fees. It is estimated that the students of the college, which is also called Revo International College, have been defrauded of over N2.6 million since it began its illegal programmes in 2016.